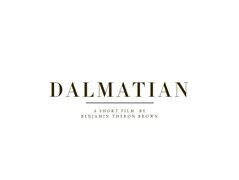 Casting "Dalmatian," a short film. An aspiring runway model tries to hide a chronic skin disorder in order to succeed in an industry of human perfection. When her condition jeopardizes her modeling career, she must choose between the acceptance of defeat or beauty by a different standard. 1-2 Full shoot days that will take place in late March/early April in the Santa Barbara or LA area (schedule is NOT locked currently). A veteran model falling out of her prime, trying to cut into her physical self in desperate hopes of former glory. Up and up LA model, just signed with her first agency and learning the ins and outs of a cutthroat industry obsessed with youth and beauty.